Sveaas can earn 1 billion. 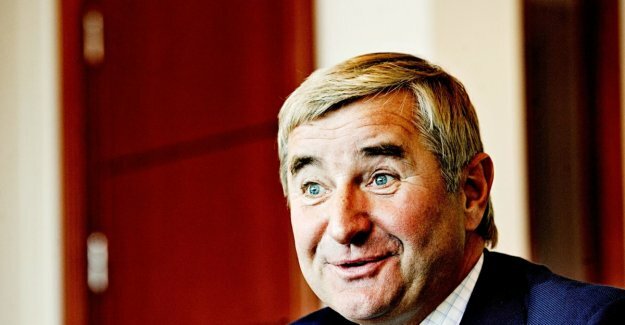 (Obi.en): the Investor Christen Sveaas can collect close to one billion after offshorerederiet he is the largest shareholder, sold the three vessels to Canada. 10. august of last year came the message that Christen Sveaas-controlled offshorerederiet Viking Supply Ships had sold three ankerhåndteringsfartøyer with icebreaker-properties to Canada. the Win was provided to 274 million dollars, or around 2.4 billion Norwegian kroner. Thus the company's share of air under the wings on the stock exchange in Stockholm, and step in a short time over 500 percent. Monday states that the board of directors that it will pay a dividend of 116 Swedish kronor to the shareholders as a result of the sale. the Total should be shared out close to 1.1 billion Swedish krona, or just in excess of one billion Norwegian kroner. the Company will, in accordance with restruktureringsavtalen with their creditors, to repay all bank debt, resulting in the company being gjeldfritt, write the board of directors. A significant proportion of the proceeds accruing Sveaas as the owner 78,6 per cent of the shares in Viking Supply through Kistefos. In addition, contained in the of the the notes to the financial statements for the third quarter that the Kistefos received a success fee of 159 million Swedish kronor in connection with the skipssalget. Total has thus Sveaas served nearly one billion in sales. Canadian authorities were desperate to replace their old icebreakers, and have probably been willing to pay a very good price for the ankerhåndtererne Tor Viking, Balder Viking and Vidar Viking.